Central Rodeo is the jumpy, wild, no boots or hats (but rather with a swiss touch instead) collaboration initiated in 2012 between the producers and DJs Cosmokolor & diSoul. 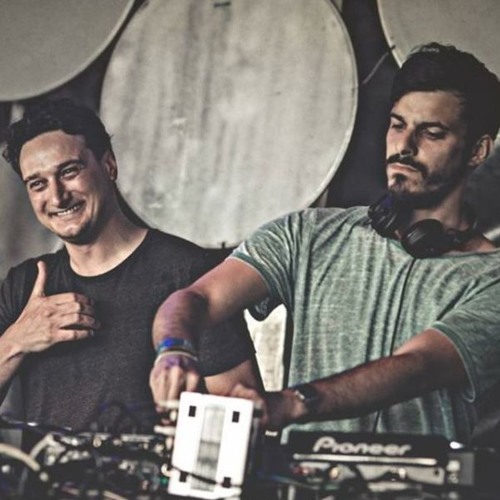 Both initially rooted into the underground electronic tech-house scene of Geneva City, their musical influences extend to Techno & Deep House with a shared taste for warm grooves and a cool temper. Both of them also have extensive experience behind the Decks - the DJ Booth being the place they met each other for the first time. It’s therefore not much of a surprise the first Duo’s Live acts quickly received a warm welcome. Recently their constant work led them to play alongside Animal Trainer at the prestigious Montreux Jazz Festival in late summer 2014 – as well as at the Overground Festival (Geneva) where people such as Alex Niggemann, Mind Against or Lake People were to be seen. In 2015, they are still on the tracks and are invited by some prestigious festivals such as Electron Festival, Chocolate and Montreux Jazz Festival. So they have the opportunity to play alongside great artists such as Coyu, Fur Coat, My Favorite Robot and more. Quite logically the Duo also decided to push the dynamic further on - into studio sessions. The result shows an effortless distinctive sound, whose imprint is a rhythmic, groovy, dancefloor oriented style. ‘Dirty Queen’ (Ayeko Records 2014) has been recently charted/played numerous times by Guy J – as if we needed to look for another promising sign. In other words: we strongly advise you to keep an eye on these two.